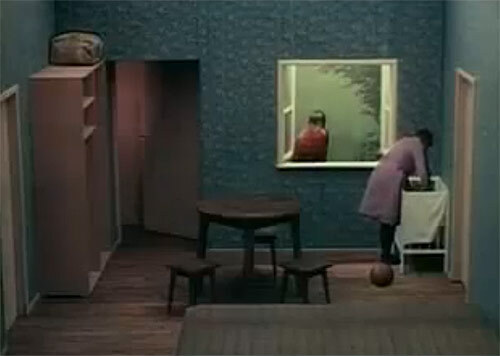 Cyriak pointed to this brilliant film by Zbigniew Rybczynski as his inspiration for the Bonobo video (posted directly below). Rybczynski painted 16,000 cell mattes and made several hundred thousand exposures on an optical printer to create this short. It took 7 months to complete, and went on to win an Oscar. *EDIT – “Tango” video is no longer available to view online.